Mizutani began the tradition of manufacturing superb quality hair styling scissors in Asakusa, Tokyo in 1921. His goal was to produce scissors that were razor-sharp, very durable and yet easy-to-handle at the same time. 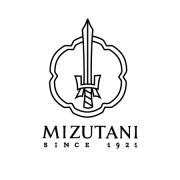 Over the years Mizutani has continued to maintain a focus of constantly improving craftsmanship to produce the highest quality scissors in the industry. Mizutani Scissors remain extremely popular hair styling scissors among top professional hair stylists due to their exceptional quality and outstanding usability. Right through from cutting steel to polishing for the finish, each shear that is manufactured receives scrutiny throughout to ensure the highest quality product. 100% handcrafted in Japan. You may also be interested in our Japanese Scissors category where you can view all of our hairdressing, barber, and thinning scissors, along with professional quality hair razors, all made in Japan. At Direct Hairdressing Scissors we have been selling Mizutani Scissors to hairdressers and barbers since 2005 and we have considerable experience on advising customers on the most suitable products to fit their requirements. To discuss any of the products in the Mizutani range, call us on 01270 630280. Our office hours are Monday to Friday between 9am to 5pm or Friday between 9am to 3pm. Our help team will be happy to give you advice and assistance.